AMENITIES - Window heat/air, screened porch, washer/dryer, fully-equipped kitchen, cable television; WI-FI, only 3 miles from Stonehenge and the Point Theater. This wonderful, quiet little cabin is tucked in behind your hosts’ home. Although there are other homes around the cabin you will enjoy the feel of being in the country. The trees surrounding the house are plentiful and the outdoor picnic area is perfect for enjoying nature. Inside is a large open living room and kitchen offering hill country decor. The living room has a comfy leather sofa (also a sleeper bed) and over sized chair- both are placed to enjoy the cable television. A fully-equipped kitchen is large and perfect for those quiet evenings when you just want to stay in! The kitchen has a large refrigerator, range/oven and microwave. There is also a wonderful wood table that seats four. A queen sleigh bed is in the bedroom topped with a coverlet and decorative pillows. Two wicker chairs and a table are found in the bedroom for that quiet reading time. The bath has a shower. Behind the bathroom is a washer and dryer, which is available for guests use. A wonderful highlight of this home is the screened porch just outside the living room. Enjoy nature in all seasons at the table for four. It is inviting and waiting for your arrival. This was our 3rd time to stay at the DUBL-C Guesthouse while visiting relatives in the Kerrville area. We've stayed in various places nearby, but this is most definitely our favorite! Our stay was the absolute best ever. We don't often write reviews, but when one is so worthy and deserving then well, here it is! Literally everything we needed was there and in its place where we could find it. Cold Cokes, wine, even Q-tips! Absolutely beautiful, spotless, roomie and comfortable, it was the perfect complement to the outdoors with trees, deer all around, and even covered parking! We have never stayed in a nicer place at such an affordable price. We went based on the reviews and the pictures don't lie either. It's actually more roomy then it would appear. We highly recommend this place to anyone looking for a comfortable outing in the Hill Country. It's the best! We would give 10 Stars if we could! Enjoy your stay! We enjoyed our visit. The home was very well furnished and has a great kitchen. The area was very quiet and we were able to watch the wildlife roam. It is convenient to tour the surrounding areas in search of wildflowers. We would recommend it to anyone wanting to get a taste of the hill country. Beautiful hidden gem in the TX hill country! The house was perfectly clean and well organized. This is an excellent house for a couple or small family. We enjoyed the games and dvd collection. We loved how everything was labeled in the kitchen, so we didn't have to search for anything. The washer and dryer were all nice to have. Each morning, we watched deer from the window... so beautiful! We drove into Fredericksburg each day and enjoyed the drive. If you want out of the way, this space is for you. Jennifer and I would highly recommend this place to anyone looking for a beautiful setting, a relaxing atmosphere and well thought-out amenities. We plan to return next time we’re in the Ingram area. Excellent place! This was our second stay in the DUBL-C, and we hope to go back. It's well-arranged, nicely stocked, unusually clean, and in a peaceful and pretty setting. This is a great space! The house is clean and spacious. 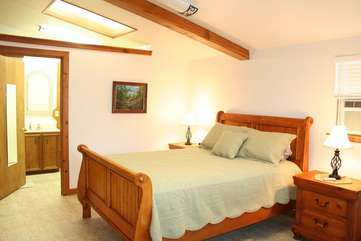 The location has a quiet, country feel but is still within easy access to Kerrville and Fredericksburg. We would definitely stay again. If the ratings went to 10, we’d select 11. The pictures DO NOT do this beautiful home justice! So much more than we expected. Booked in Fredericksburg for the week but decided to come a day early. This was the only available property. The description and photos had us believing it would be so much less than we anticipated. A stunning drive from town, greeted by the owner, gorgeous, so much space for just us two, clean, warm, thoughtful amenities, welcoming, truly a country cozy home. Now wish we had booked here for the week. We will definitely be back to this specific property. Worth it! This is a lovely guest house in a quiet neighborhood. Very convenient parking, right in front of the door with a carport. Beautiful, fully equipped kitchen. Comfortable bed. There was even a nice laundry room that they said we could use. I wish we could have stayed longer than one night, but we had to get back to work. This was a sweet home. It was very clean and no one bothered us. Lot of goodies were left for us!!! This place is amazing!! Very clean and accomadating and extremely quaint with a screened in porch and nestled in a wooded area with families of deer grazing around the house! You will not be disappointed, so much for your money! Property was just as advertised and very comfortable. Two cannot stay in a hotel for the price! Very thoughtful touches throughout the cabin! Lots deer to watch, which we enjoy. Great location and well stocked house for a get away. Very quaint, private and comfortable. Definitely coming back to this one. Very nice, quiet and private setting. Clean and had everything available that we needed for a comfortable stay. My stay was Peaceful , very warm, I felt right at home. All the amenities were great . Everything was well organized and clean . I enjoyed my stay, two thumbs Up . Will book again if I’m in the area .